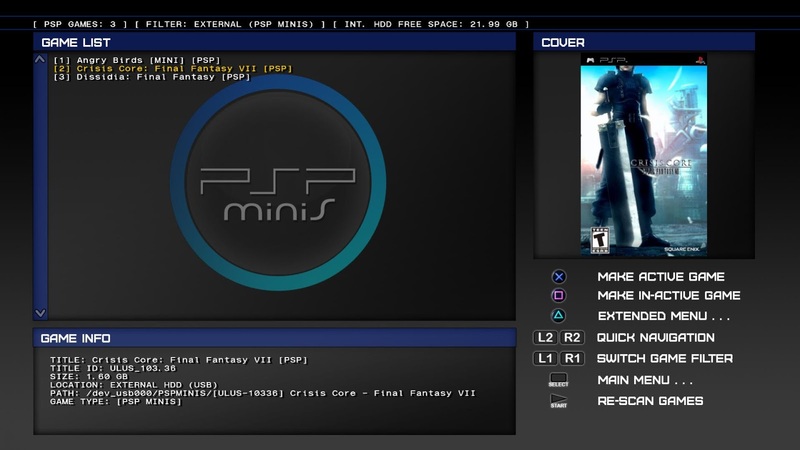 Today developer CaptainCPS-X has released some information on his latest upcoming project. This project is basically a rebuild of his recent works. 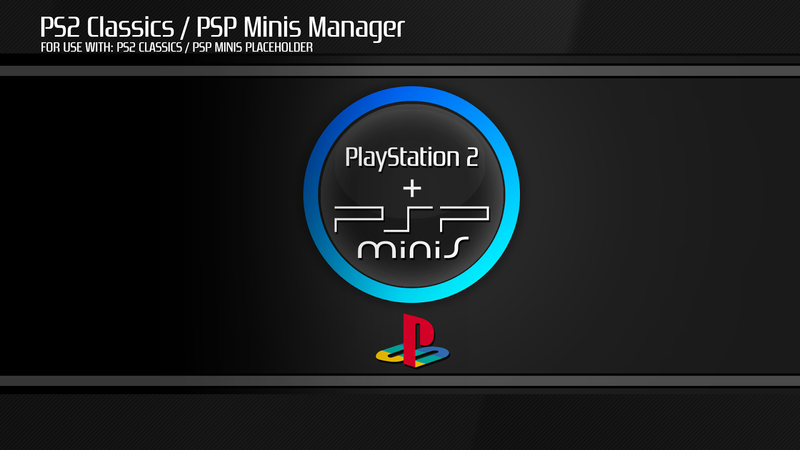 He has made a manager where you can easily play PS2 (Using the placeholder method) and play even PSP Minis using your custom firmware enabled Playstation 3. Check out the changelog and stay tuned for the release! 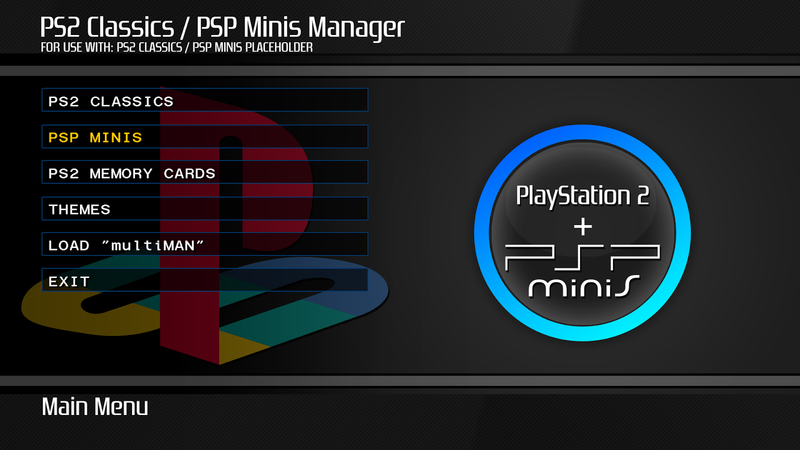 On this section of the application you will be able to see a list of all your converted PSP Minis games. 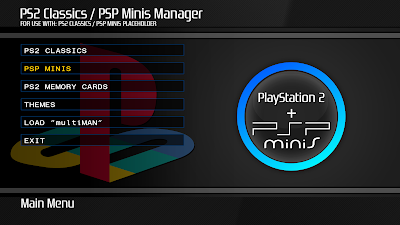 Be able to switch between PSP Minis games easily without having the XMB filled with them. In the future I will implement modules to convert the PSP ISOs to EBOOT.PBP and create ISO.BIN / MINIS.BIN, these last 2 must be converted / encrypted to EDAT on PC, since I don't have any C/C++ solution for this, maybe some other nice dev could collaborate later . PS: @aldostools , what you think about this? I will appreciate your feedback and any recommendation you could have , thanks! As a interesting note, I had saves from FFVII Crisis Core, and when I set as active Angry Birds, it didn't want to save, but as soon as I deleted the FFVII Crisis Core saves from the XMB, Angry birds saves worked, LOL. Handling this kind of issues should be easy, by separating each game saves. Dissidia 012 Duodecim Final Fantasy (USA), is not working for some reason, I am investigating, this one requires a very high PSP FW. EDIT: Interesting, tried to load Dissidia 012 Duodecim on JPCPS, and it displayed a message about the ISO being encrypted, FFVII CC didn't had such message, it loaded fine.